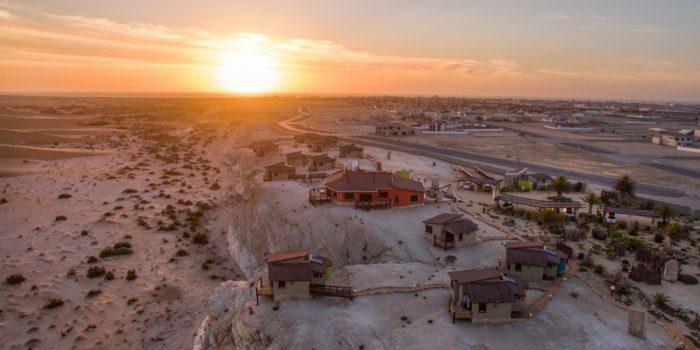 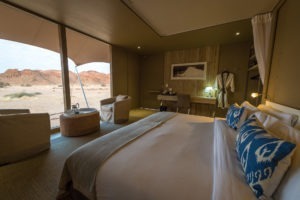 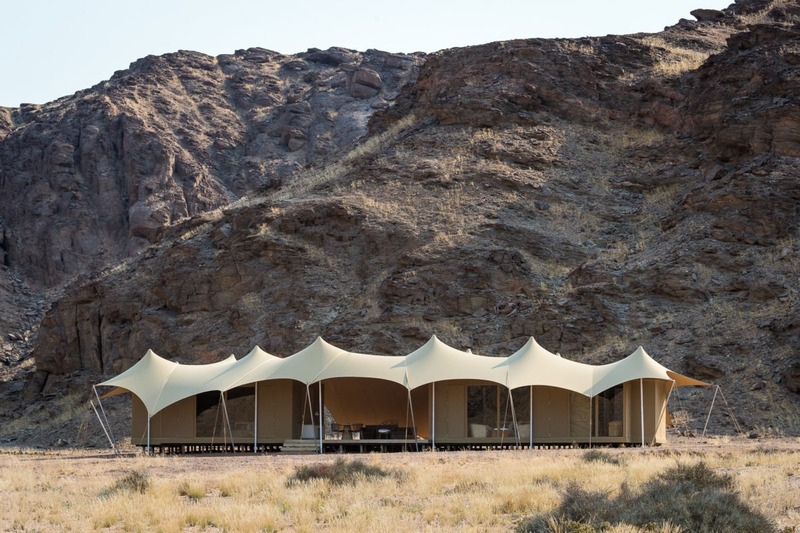 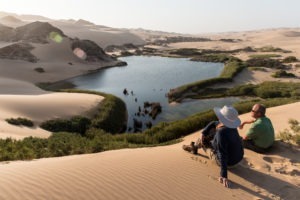 Hoanib Skeleton Coast camp offers magnificence in a barren and inhospitable, yet hauntingly beautiful area of Namibia – a truly an unforgettable experience! 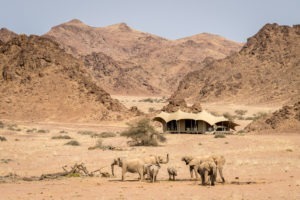 Hoanib Skeleton Coast camp lies in a broad valley of the dry Hoanib River in the northern part of Palmwag Concession. 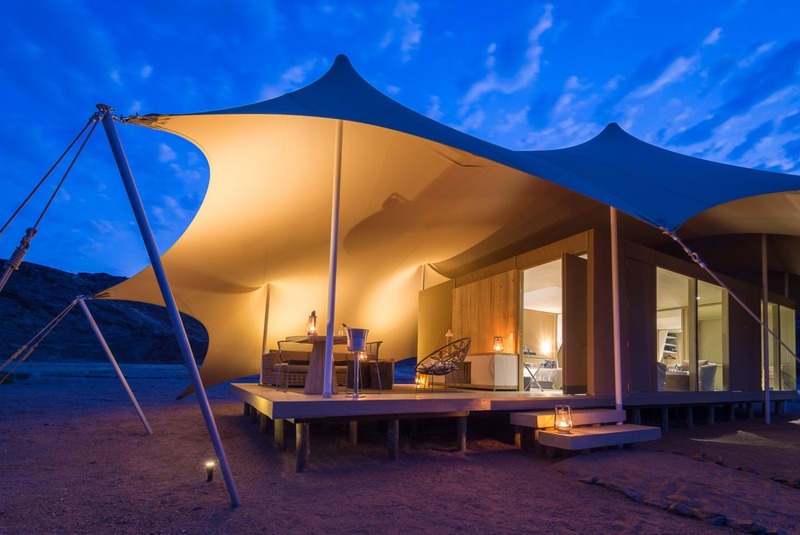 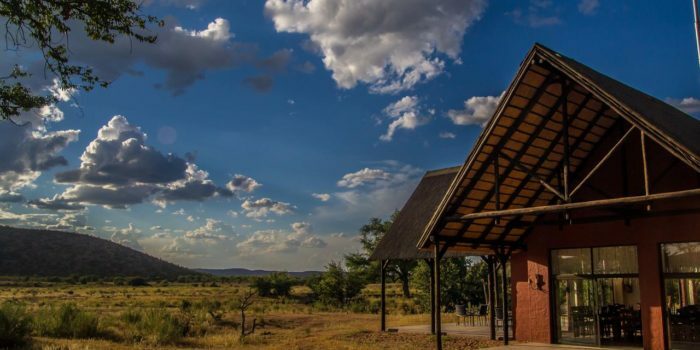 Situated in one of the most remote areas of Kaokoveld, this special camp is surrounded by gravel plains, trees, mountains and sand dunes – a place that can only be described as hauntingly beautiful! Guests can get a greater sense of the camps unique location, when they will be flown in by light aircraft from Doro Nawas. 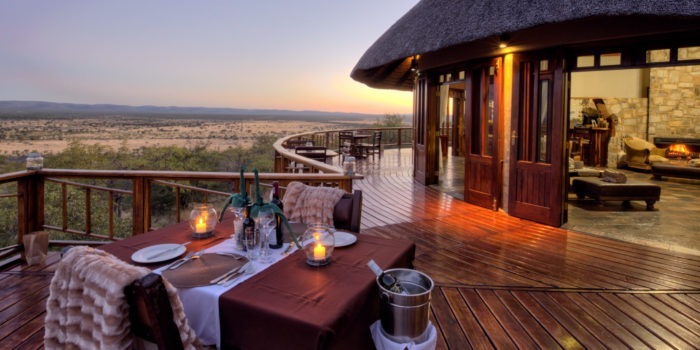 Needless to mention that en-route breath-taking views are guaranteed. 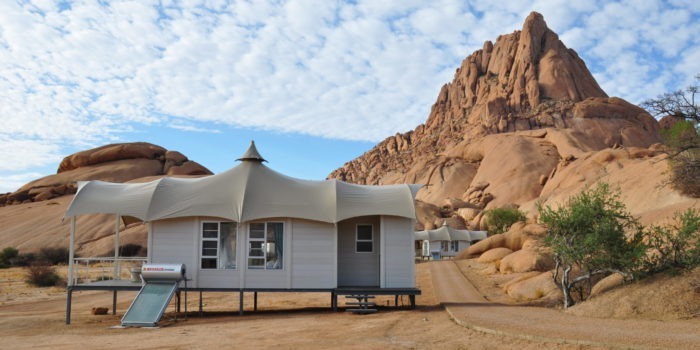 The camp consists of eight tents, including one family unit. 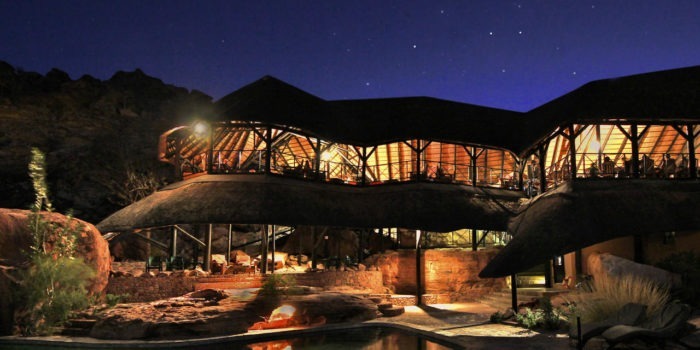 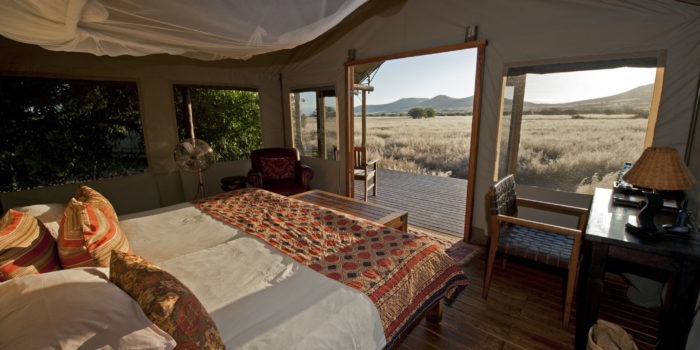 All rooms have king sized beds, en-suite bathrooms and shaded outdoor decks that overlook the water hole. 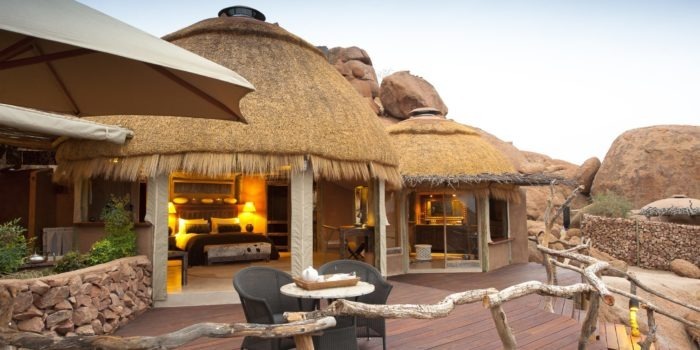 The floor to ceiling windows create a spacious atmosphere and allow spectacular views over the surrounding wilderness. The main area is set under a permanent Bedouin tent and built with light canvas, wooden decking and poles. 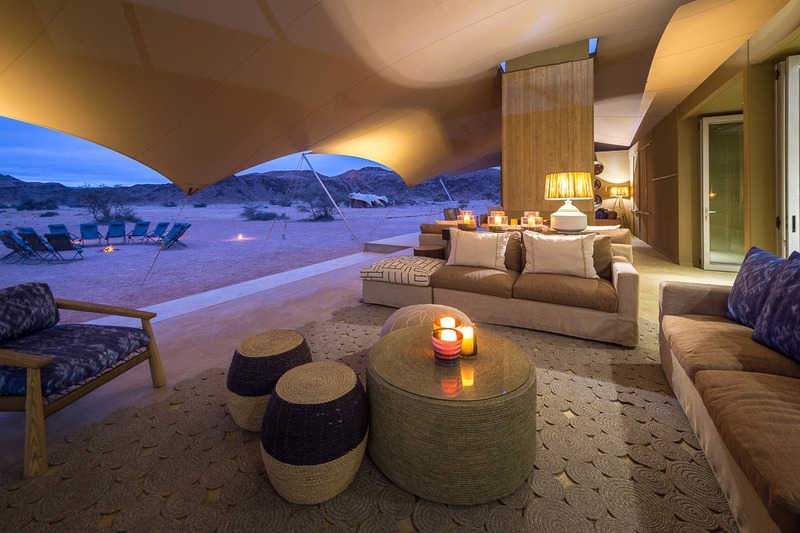 The lounge and dining area are designed with modern features in earthy tones to complete the natural setting. 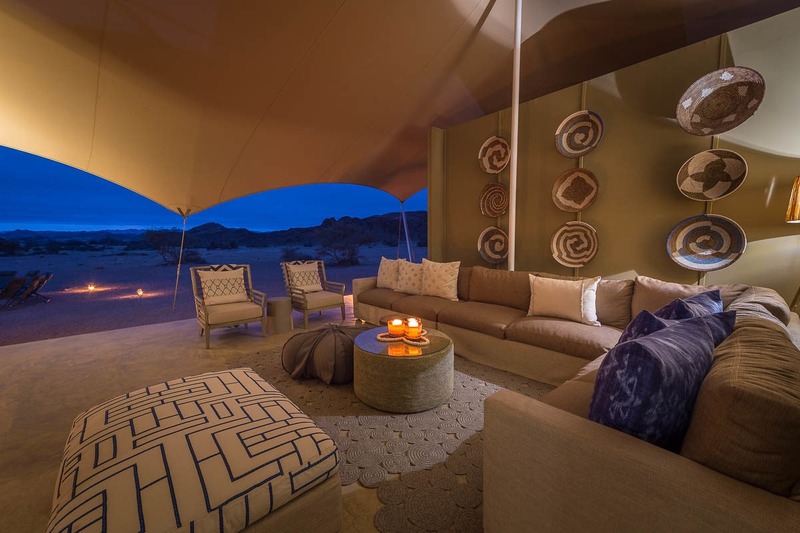 Every evening a fire is lit outside the lodge and luxury camping chairs invite to share stories around under the starry sky. 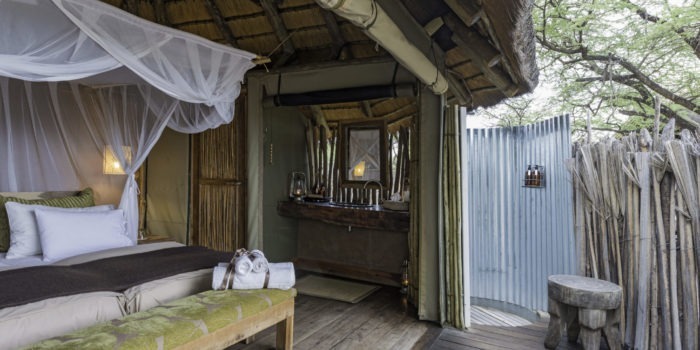 A plunge pool offers a welcome refreshment during hot days. 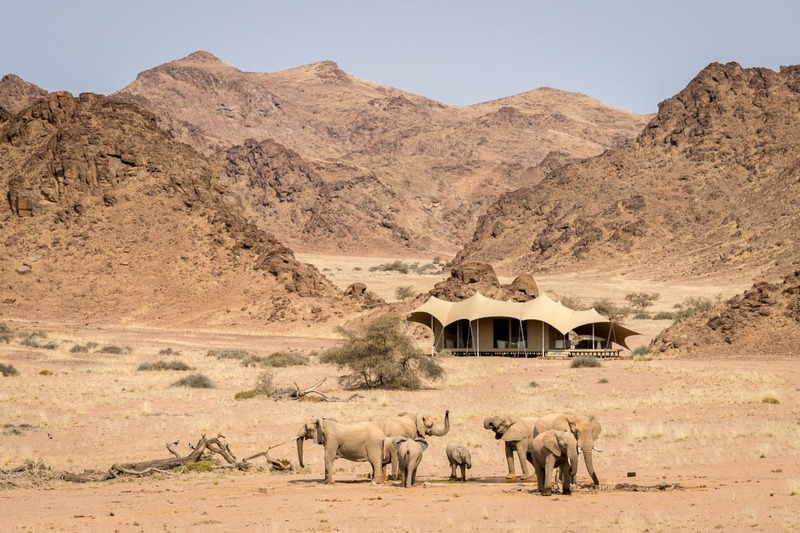 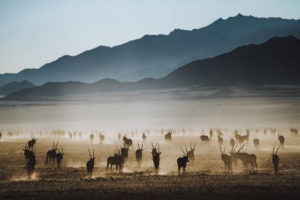 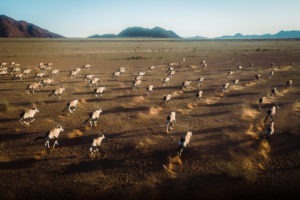 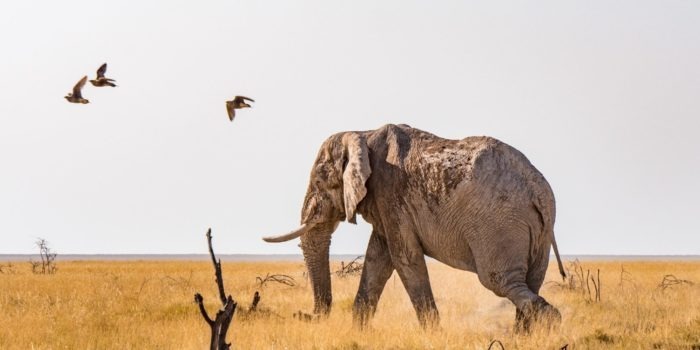 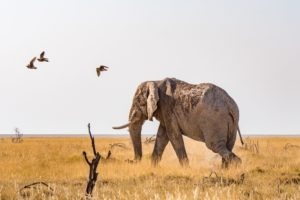 Activities include morning and afternoon game drives along the dry riverbed, in search of desert-adapted elephant, gemsbok, giraffe, and even lion. 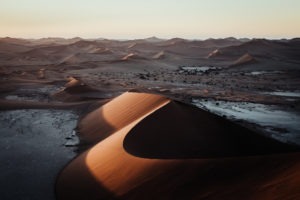 A very different experience is an excursion to the bordering Skeleton Coast National Park. 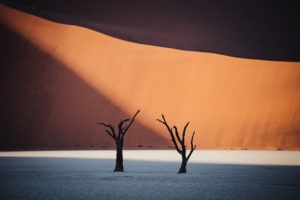 Nature walks with the lodge’s knowledgeable guides are the perfect opportunity to experience the Namib Desert. 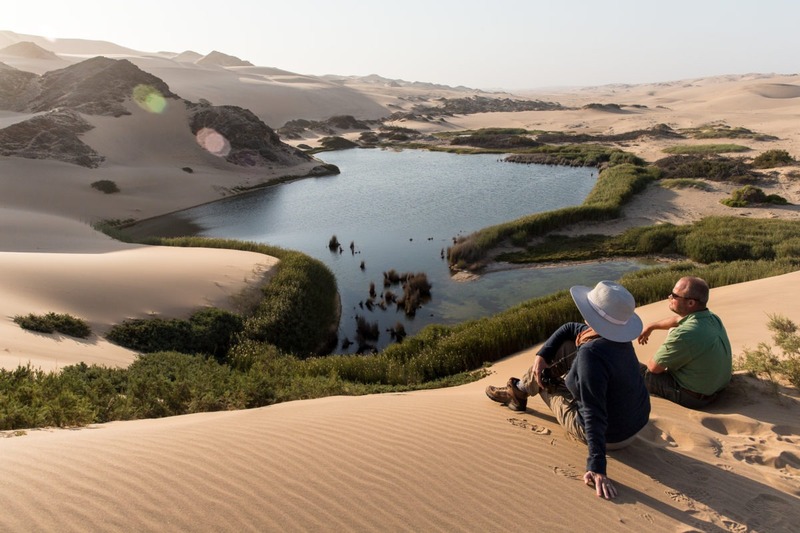 A visit to the wildlife researchers at the Hoanib Research Centre is the perfect way for guests to learn more about the local wildlife. 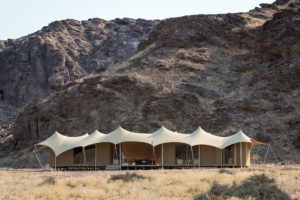 Located in a truly wild setting in the northern part of the private Palmwag Concession. 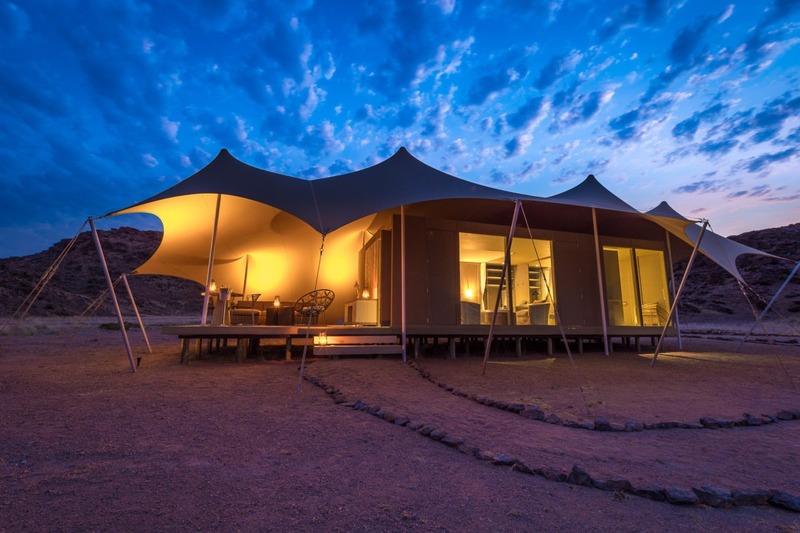 Luxurious camp offering high comfort in the desolate terrain of Kaokoveld. Full seclusion and only few people around as guests are only flown into the camp. 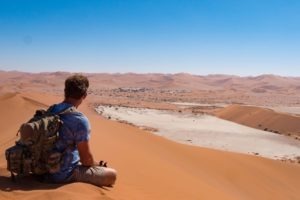 Excellent activities and knowledgeable guides to explore the breath-taking scenery. 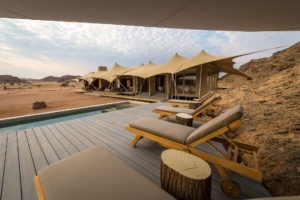 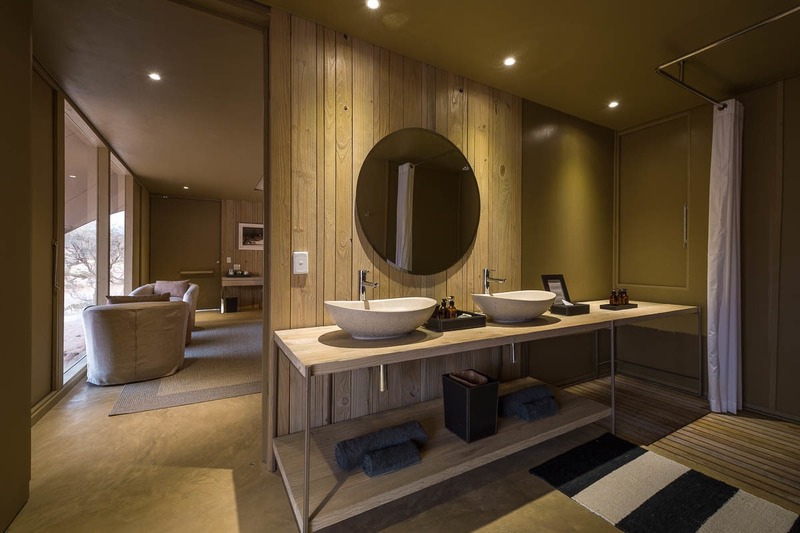 Nothing like that feeling of a bit of luxury in this remote and vast environment….